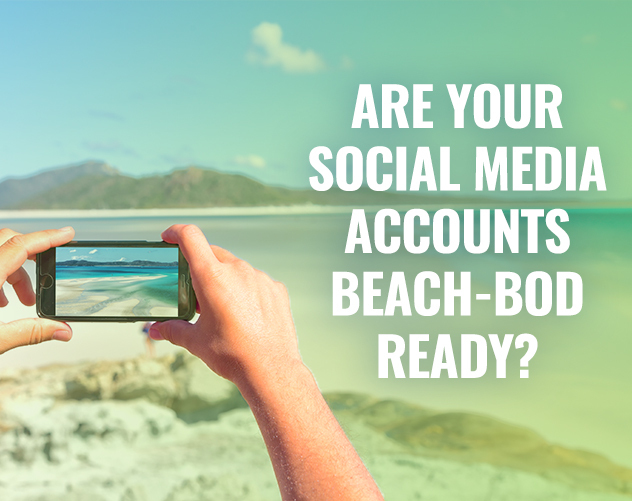 ARE YOUR SOCIAL MEDIA ACCOUNTS BEACH-BOD READY? Does your company host summer company picnics? Do your employees do any team-building exercises? Anything that shows your company can work hard and play hard, gives your brand a fun edge. Keep posts light with a fun image or video, and a short caption with a couple emojis and hashtags sprinkled in. Did you know that July 1 is International Joke Day? And July 23 is Vanilla Ice Cream Day? Posting about fun, unofficial holidays is a great, easy way to keep in touch with your followers. Showing you care about unofficial holidays also shows that your brand is fun and personable. For an easy way to continuously post on your social accounts, give your viewers relevant tips. For instance, if your brand is in the healthcare industry, post tips on the best sunscreens to use or how to care for/prevent sun burn. If your company is in the food industry, give tips on grilling, provide a summer barbecue recipe, or DIY tips for hosting a Fourth of July party. It’s okay to even throw in a couple of unrelated seasonal posts every once in a while to switch things up. Does your company or brand have anything special to offer customers in the summertime? Offering discounts, offering discount contests, or specifying discount days (i.e. 20% off on June 20th only) will catch peoples’ attention and get them excited about your brand and the discounts being offered.